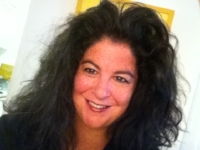 Vino-Versity was founded by Shari Schneider, a.k.a. "The Dean", a New York City entrepreneur & restaurateur, now instructor, proctor, consultant, and practicing Boozist . Shari Schneider, CSW (Certified Specialist of Wine), is the creator and founder of Divine Bar (two of New York City’s most renowned wine & tapas lounges from 1996-2010) , and Vino-Versity®, a ground-breaking educational Manhattan wine shop and wine "school", established 2010.
and also appeared on the TV Food Network. As "The Dean" of the current online Vino-Versity, Shari is hired to teach classes in person chosen from her curriculum (or customized!) ranging from "Vino! Rosso! Pronto!" (Italian red wines), to "Bubbles, Bubbles, Everywhere" (Champagne & sparkling wines), to "Wine Sense For The Wine Dense" (wines for 'dummies'), to "Brown Is The New Black" (understanding whiskey), and many others! She also organizes and conducts daily tastings & tutorials for clients, word-smiths highly unique & fun ways to describe wines & spirits on take-home "wine notes" or literature, and publishes educational blogs. Her consultations have ranged from menu crafting, to menu "prep & purchase" logistics engineering, cost and production analysis & control, all service training, wine & alcohol education, design & aesthetic conceptualization, Public Relations & press releases, Special Events planning & execution, POS computer programming, salesmanship, and authoring entire business plans. In addition to herself, she's helped other people open up their own restaurant from scratch! For two decades and counting, she has been an innovative entrepreneur of several Manhattan enterprises (since the age of 26).